The Splendid Sampler Block 18 is designed by the fabulous Pat Sloan! I had to skip block 17 for now because I am starting to run out of the background fabric I have been using by Zen Chic for Moda. I will be visiting my local quilt shop today ( so much for sewing from my stash) to see if they are still carrying this incredibly versatile fabric collection. The moral of this story is ALWAYS BUY THE FABRIC!!!! LOL! I will have Kimberly's block hopefully tomorrow! I love the happy yellow! I need to find more buttery yellow to add to my stash. I have a ton of gold yellow but there seems to be a lack of butter cream or soft yellow available in fabric collections. I am not a huge gold fan so I would be over the moon if designers started offering softer yellows. 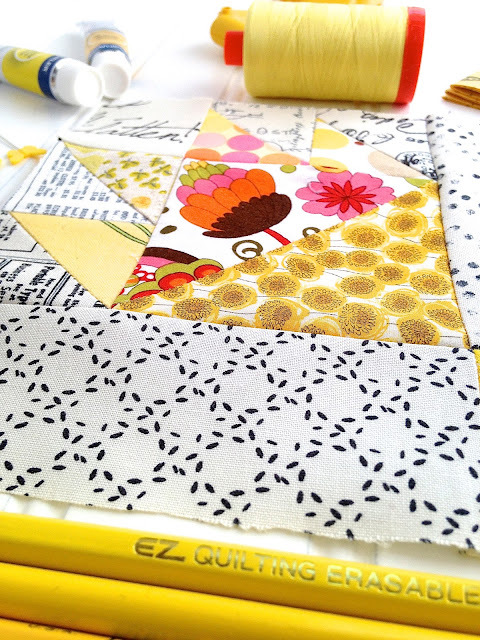 I have been using Aurifil 50wt thread for all of my blocks. The lovely 2 ply thread is makes for perfect piecing with less bulk and virtually lint free so it is better for your machine! 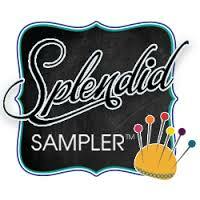 If you have not joined in on the fun of The Splendid Sampler, no fear! Hop in at any time to start your adventure with the largest online Quilting Bee! The block patterns are free, the designers offer great tips on how to make your blocks and the Facebook Group is filled with twenty thousand great international friends that come to gather daily for encouragement! Be a part of the fun! Oh do I agree with you on the buttery or lemony yellow needed! Sunshine! Hello?! I'm actually going to remake my quilt with pinks and lemon yellows and then write up a pattern. :-) Thanks for visiting my blog - you are a no-reply blogger, but glad I was able to find you! blocks looks good must try and catch up 2 w a week means it does not take long to get behind. Re google + I have found some blogs I cannot comment on because of it it is a pain! I like your yellows, such a lovely happy colour. I am saving the blocks and this of the 365 project too but I haven't made any of them yet. I had the same problem with Google+, it was only when someone who knew me emailed I realised and followed a tutorial to change the settings, BUT, now I haven't got Google+ any more and have lost those who linked with me. I agree with Margaret, it's a pain. 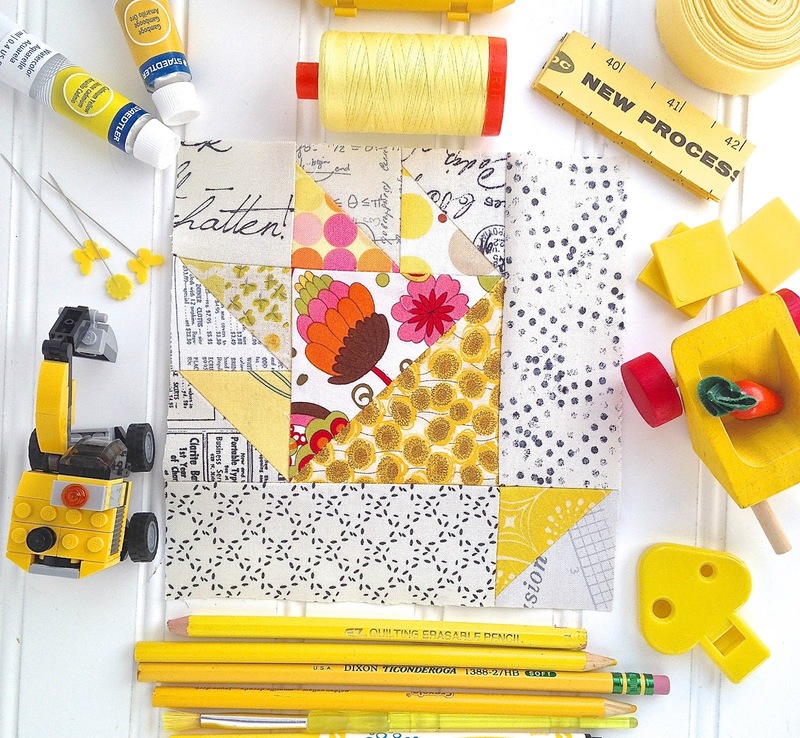 Lovely yellow block,yellow is such a happy colour isn't it? Have been away in our caravan for 2 weeks so have 4 blocks to catch up on. Did take my applique blocks away to hand finish though so I didn't feel as though I wasn't still keeping up! I love the yellow blocks, now it makes me want to do mine with yellows. I haven't even made one so I have a lot of catching up to do.